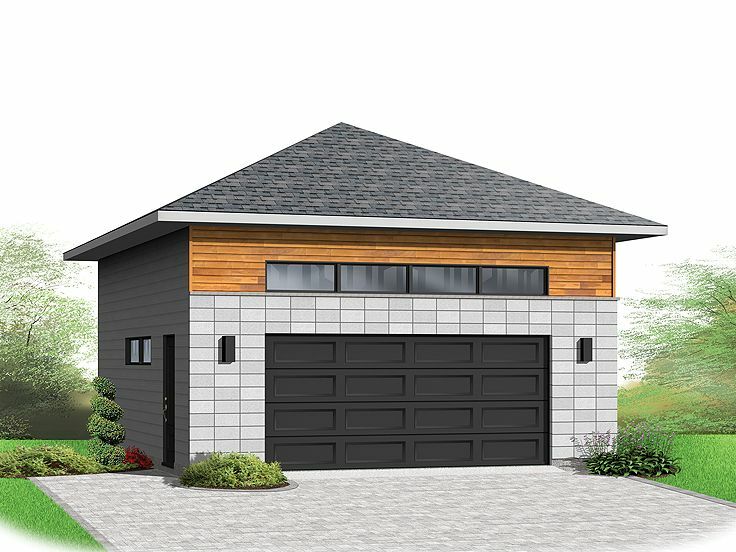 This modern two-car garage plan features contemporary flair. 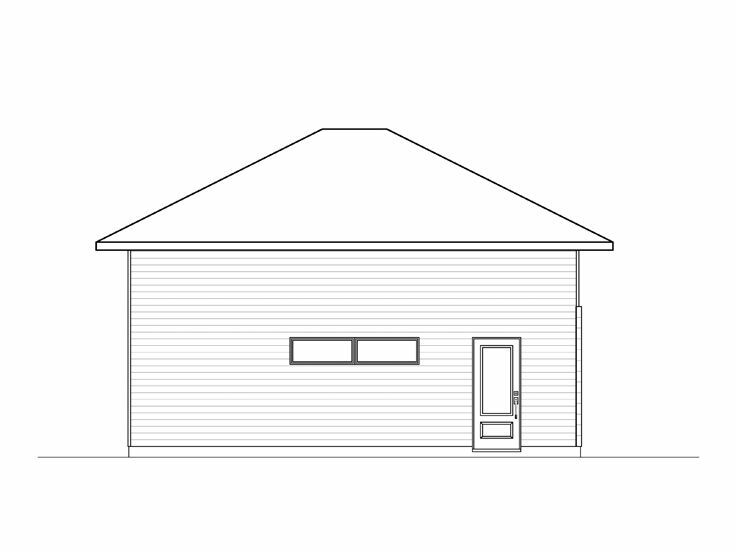 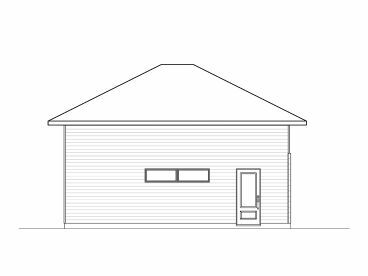 The garage delivers 672 square feet of parking and one overhead garage door. 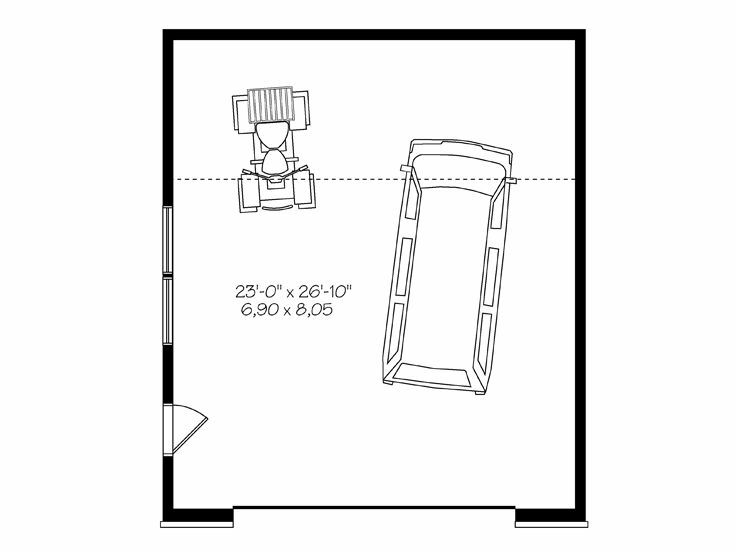 You’ll appreciate the side-entry service door and storage space overhead. 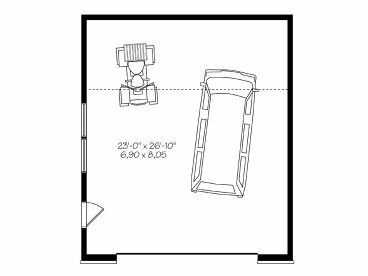 A mezzanine at the rear of the garage provides 184 square feet of storage above the parking area and is accessible by a ladder. Compliment your modern home and add extra parking with this two-car garage plan.